Melbourne Festival Hall - January 31, February 2 & 3. Sydney Stadium - February 5, 6, 7. 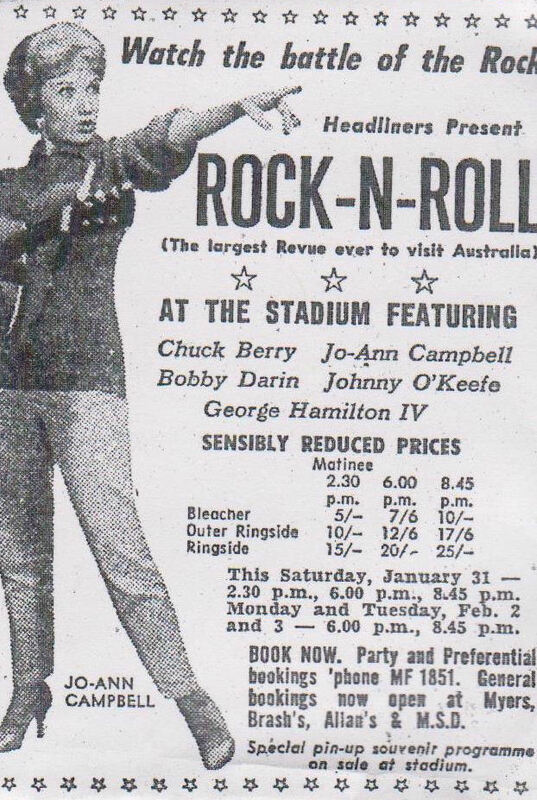 Headliners: Chuck Berry, Bobby Darin, George Hamilton IV, Jo Ann Campbell, Johnny O'Keefe and the Dee Jays.